There has been a record snowfall in the Maritime provinces this winter, which has been very rough for wildlife. 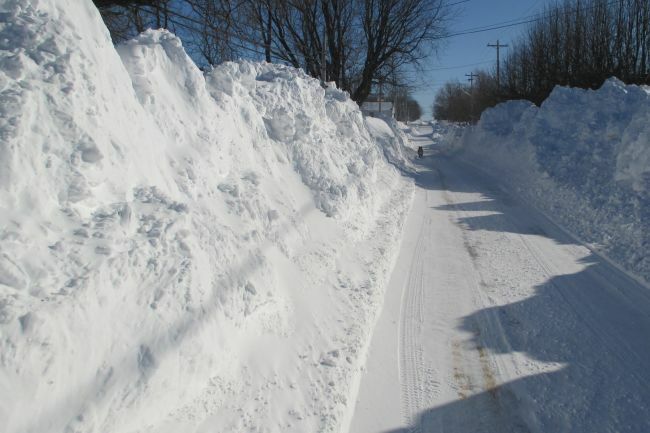 To illustrate this, the average annual snowfall to the end of March for Charlottetown, Prince Edward Island, between 1981 and 2010 was 270 cm; for 2013-14, it was 420 cm; and for 2014-15, it was 520 cm. The number of animals of a given species submitted for necropsy to a CWHC regional centre in any given year is an unreliable indication of the severity of a problem since several factors can influence whether or not a dead animal will be submitted, including the likelihood of finding it. Nonetheless, it is the general impression of the CWHC Atlantic regional centre and also of some rehabilitation centres in the region that the prevalence of deaths from starvation has been substantially higher this year, affecting a wide variety of species: waterfowl (particularly Common Goldeneye and Greater Scaup), Red-tailed Hawks, Barred Owls, red fox, among others. In addition, Hope for Wildlife, a well-known rehabilitation centre near Dartmouth, Nova Scotia, has received several calls pertaining to weak or dead bobcats. In a particularly sad case, three bobcats were seen using a large shed for shelter, already an odd observation for a typically solitary species. One of the bobcats had died and was being eaten by the remaining two bobcats. One of these two bobcats became gradually unresponsive. It was picked up by staff from Hope for Wildlife but was dead by the time it was brought to a veterinary clinic on the same day. This animal was in an extreme state of emaciation. The third bobcat was later trapped, also found to be emaciated, and brought to the rehab centre. 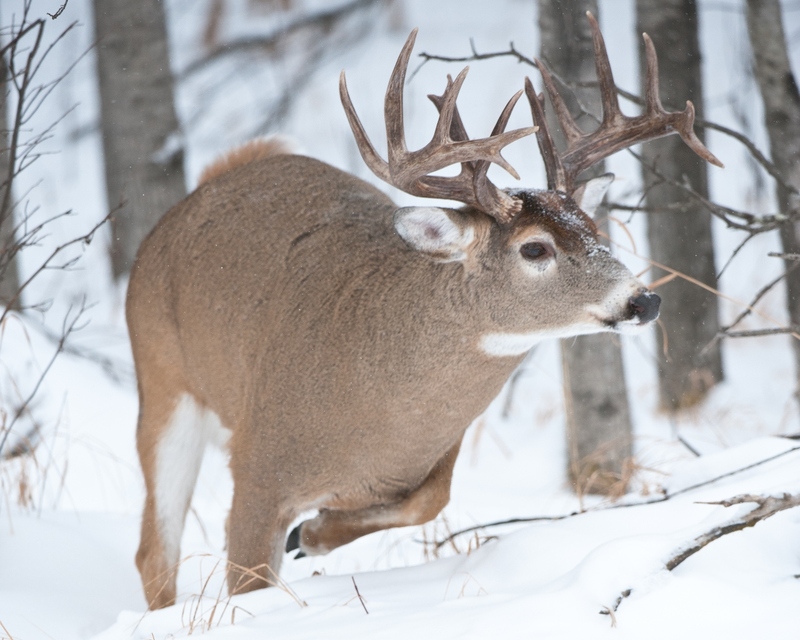 Warmer weather is slowly coming back, but it will be a long spring before all the snow disappears, which will put further strain on wildlife.